After getting our asses handed to us by the Venezuelan people, where does the opposition go from here? The answer, of course, depends on what you think “here” is. Sadly, this is a path to nowhere. After last Sunday, I am firmly convinced that, barring an unforeseeable act of nature, Hugo Chávez cannot be beaten at the ballot box. Now, if you disagree with this diagnosis, read no further. Everything I write below depends on believing this premise. The implications of my assumption are not minor. You might be tempted to think: if Hugo Chávez cannot be beaten, what is the point of having an opposition? 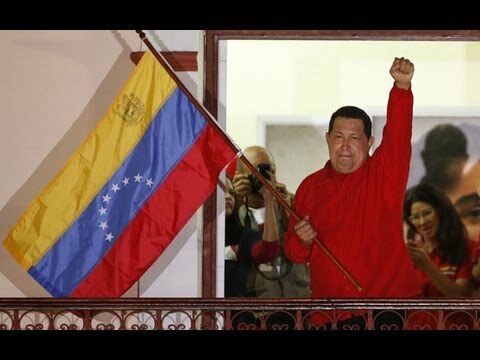 Does this assume that we will never see the end of chavismo? Not at all, for I added an important qualifier: “barring an unforeseeable act of nature.” These are basically two: a dramatic collapse in the price of oil, or Hugo Chávez’s premature death. The implications of both of these are obvious. This implies that the end of chavismo … is really out of our hands. It doesn’t depend on the type of candidate we run, or on the specific proposals that we have. It won’t be a function of visiting small towns, or time, or media access, or even money. When the end of chavismo comes, it will be dramatic – a collapse of the cult of personality built on the basis of an unending stream of petro-dollars that it has come to embody. After all, wasn’t the drought of petro-dollars the cause of the dramatic demise of the IVth Republic? Could Hugo Chávez have won in 1998 if the price of oil had been $100 a barrel? The demise of chavismo – and the accompanying heartbreak and disappointment of a majority of Venezuelans that support it – will be accompanied by a collapse in the political and/or social consensus they have built. It will most likely happen in the midst of a deep economic crisis, when people realize that there is no longer enough money to give homes to everyone who needs it, and keep the shelves of Mercal stuffed with goods at the same time. It will happen when Cadivi dollars become extinct, amidst a a dramatic collapse in infrastructure. When that happens, people will naturally turn to us. What will we say to them? Will we continue promising “misiones” for everyone? Will we continue saying that Mercal will be expanded? Will we insist that the gasoline subsidy can and should be maintained without rationing? Will we continue praising the chavista welfare state that, by that point, will have bankrupted the country? Will we go on promising to “better manage” bankrupt state-owned companies and shun that evil word … privatization? We might as well be honest and level with the Venezuelan people, and we should start now. The past election has liberated us from the false hope of electability. Now that no amount of pandering will lead us to Miraflores, we should be honest. We need to level with the Venezuelan people and tell them, with a clear head, exactly where chavismo is leading us, and what our solutions are. In the 1970s and 80s, the Communist Party of Venezuela did not become more “moderate.” It did not sacrifice its ideology for some false hope of being elected. It maintained its positions even though everyone believed they were too “radical” to ever be elected. Yet when time came, it joined a coalition that captured the Presidency, and now … they have Ministers, Deputies, and even Ambassadors. Rómulo Betancourt could have never seen this coming. The opposition’s insistence on saying what they think the Venezuelan people want to hear leads us nowhere. No amount of reassurance prevented a significant proportion of voters from believing that Capriles was going to do away with the Misiones. Voters are smart that way, because deep down, a lot of us think that the Misiones have serious problems. It’s not that we need to do away with them, but we can’t promise to “expand” them without coming across as insincere. On the issue of crime, they perceive a similar problem. Raul Stolk wrote a post in Prodavinci a few weeks ago that has been lingering in my head for a while. He relates a conversation between a hard-core opposition lady and a member of the military. She wonders how he can support this government. This type of thinking needs to be confronted head on. We can no longer afford to appear as though this isn’t a terrible problem in the majority’s way of thinking. Because when time comes and the chavista State collapses, what are we going to do? Are we going to allow people the type of “freedom” they think is OK? Nobody in the opposition paints a picture of what it’s really going to take in order to solve the issue of crime: a dramatic increase in police presence, intelligence, number of prisons, and an expansion of the justice system. This issue is not going to go away with more “education,” or “disarmament,” or even “community policing.” There are thousands upon thousands of murderers and kidnappers roaming our streets. Ridding society from this cancer is going to require quite a bit of that which international “experts” who have never been held up at gunpoint call … “repression.” “Freedom,” as chavistas understand it, will have to be severely curtailed. Solving crime is going to require copying some of the policies of Álvaro Uribe. Why does nobody in the opposition speak clearly to Venezuelans about these issues? Because, the thinking goes, that would make us unelectable. Hugo Chávez can be faulted for many things, but one thing is clear: he is honest in what he offers. In this election, voters knew what they were getting with him: more expropriations, less private property, more giveaways, more “freedom” in this twisted chavista sense. That is the mandate that he has. When voters finally see the consequences of their actions, they need an adult to tell them: this is what you wanted, and you were wrong, and we told you so. We need to be able to draw a contrast with chavismo, and all its false promises. What this implies for the MUD, I do not know yet, but one things is clear – there needs to be greater discussion about the type of message we want to convey to voters. From now on, I am going to try to be more forthcoming on the blog. No longer will I care about what is popular or palatable for the Venezuelan electorate, because it really is out of our hands now. We are not going to be elected any time soon, so we might as well cling to our ideas about how to solve the country’s complicated problems. Yes, having opposition governors and mayors is all fine, but when the Communal state hits us, it won’t matter much. Remember that the communal state and doing away with local governments … is what the voters want! Hugo Chávez has a mandate for this. How can we plausibly argue against that? Does that not put the Regional Elections in a less dramatic perspective? Even though Machado didn’t stand a chance in the primary, and would have lost by sixty points in the general election, she was right about that. Last Sunday’s election confirmed it. Now that we have been liberated from the shackles of false hope, it’s about time we let other voices within the opposition to flourish. It’s time we get serious about what it’s going to take to reconstruct the country once the inevitable happens. It’s time we stop pretending to be chavista-lights.